Songbirds are colorful and sing pretty songs, but it’s the raucous and taloned ones that I like the best. 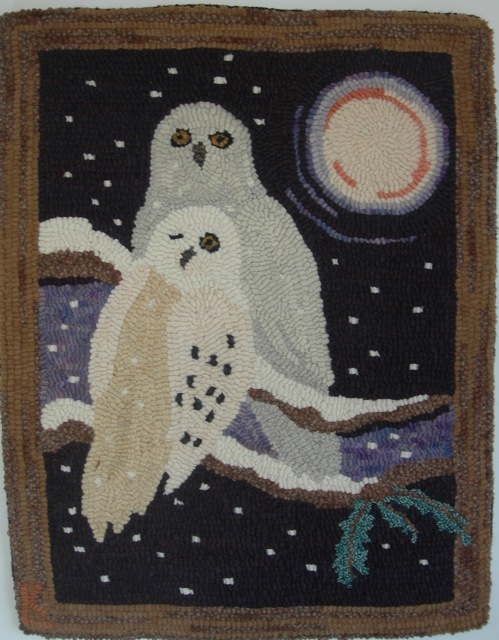 Owls, raptors, corvids and even vultures are the ones I prefer to hang with. 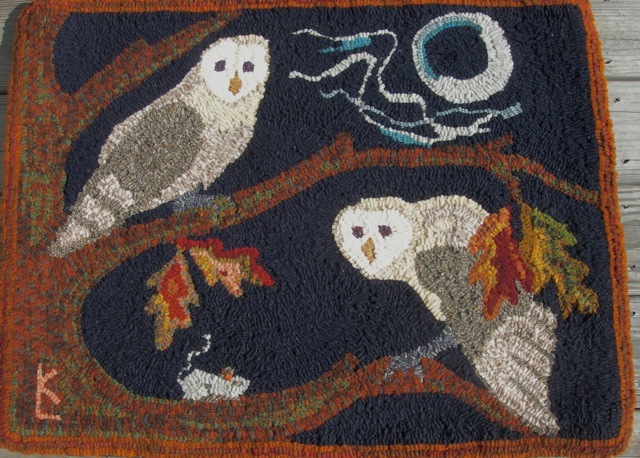 I’ve designed hooked rugs with owls and crows and they seem popular with others, too. I recently had a request from a friend to hook her my design, Waxing Crescent, featuring a barn owl, a mouse, and the waxing moon on the night sky – all of my favorite design elements. Whenever I recreate one of my hooked pieces, I try to make the new one better than the original with more thoughtful use of color and value, for instance. We shall see how this new one comes out. 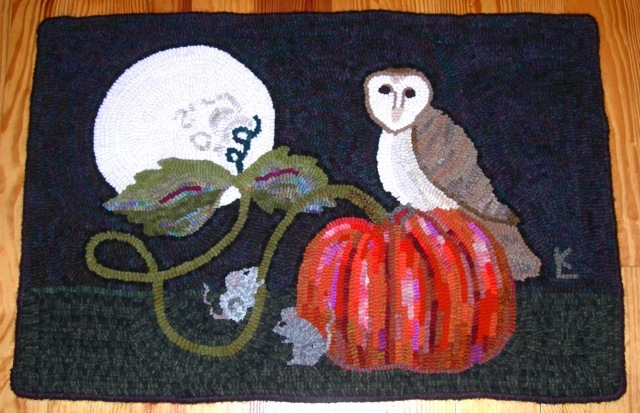 October was a busy and fun month filled with witchy and Halloween-y fun and projects. November brings family and Thanksgiving activities. Our son and his family will be visiting from Oregon and we are so excited to see them! With that in mind, my time at the hooking frame will be zero. But then comes December and that is a free and open month leading into the beautiful, dark and quiet months of winter. I can’t wait! So, hang in with me as I tend to the needs of hearth and home. I’ll still blog every Monday - I haven’t missed one yet. How many years has it been? I’m not sure. There’s a lot of beauty out there and in the darkening days and comforts of gathering around a warm hearth fire. Waxing Moon - the original.